If you have been following along to the Hubs & I's house construction, you know that there was a bit of controversy with the bricks. Theoretically, it was probably our lack of knowledge of the entire subject that led us to our dissatisfaction. 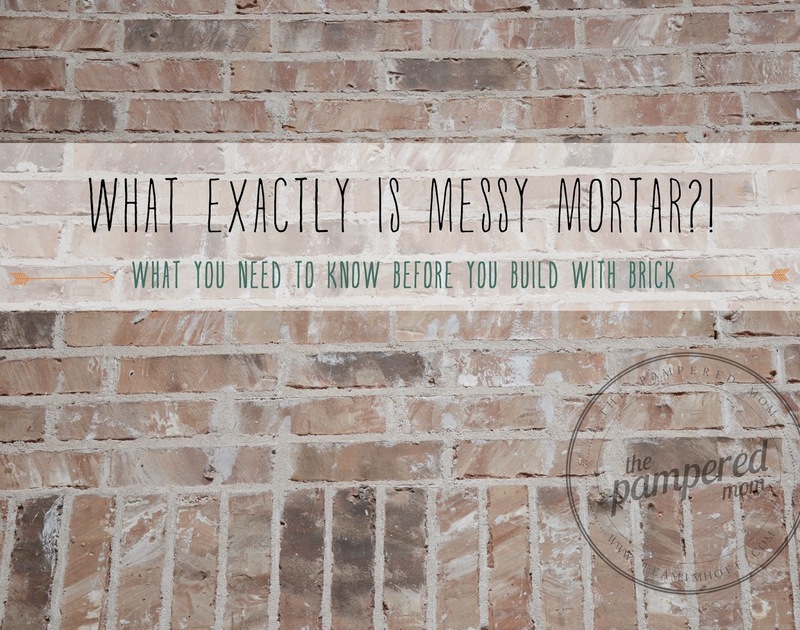 Looking back, I should have done more research, but then again, I didn't know there were different ways to mortar brick. I just knew what I liked :) So scientific of me don't you think?! When I would thumb through magazines or look at exterior brick photos on Pinterest, all the houses seemed to have the same "look" to them. Each of the exteriors used a "messy mortar" application. 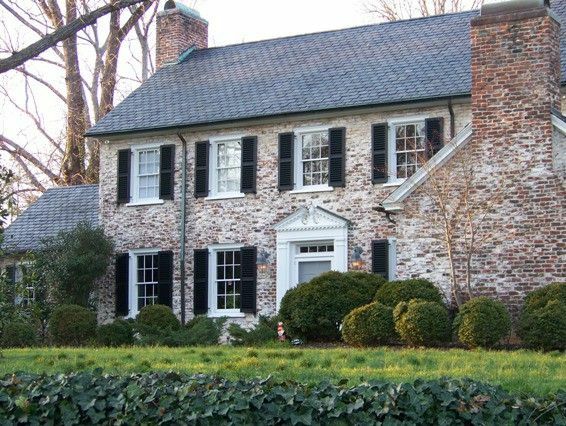 This type of mason style was used back in the early 30's, maybe even before, and mostly when the brick wasn't going to be seen from the outside of the home. You see this look a lot when exposing brick during a renovation, and realizing that the mason just didn't "clean up" his work. BUT, because of the old feel of the brick, this method has become more and more popular, especially with new builds. 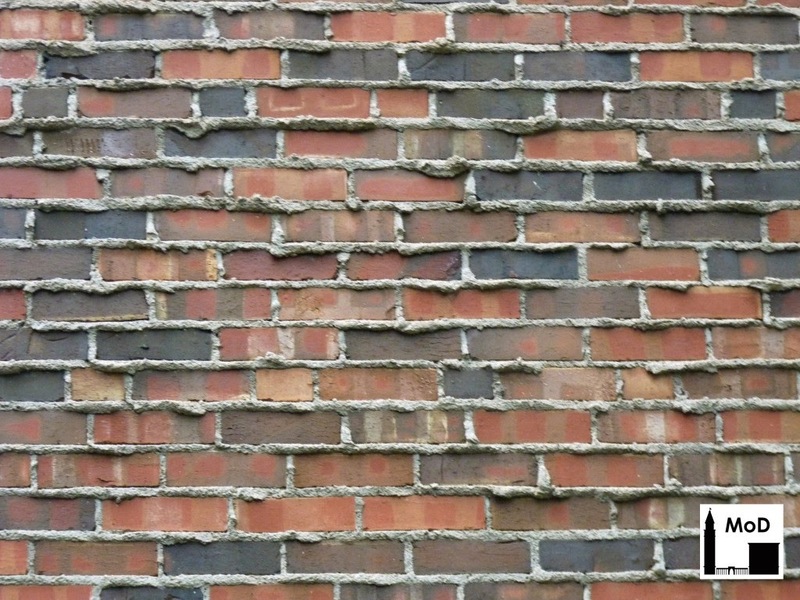 Most masonries use an acid wash over the brick after completion. This basically takes off additional mortar, giving the brick a more clean look. Messy Mortar is where the brick mason not only uses a white wash application but then spears on additional mortar giving it a whiter appearance all together. There is also another form of mortar that requires the same amount of skill called, Weeping Mortar. The beauty is in the eye of the beholder. This particular technique was used a lot with Tudor style homes. I personally do not like this type of brickwork. To me, it looks unfinished and "sloppy," for lack of a better term, BUT, it's widely used. Some people probably think messy mortar looks old and incomplete as well. Whether you love it or hate it, one thing is for sure. Before you build a brick house or before you do any projects that require brick to your existing home, do your research and know what you like. 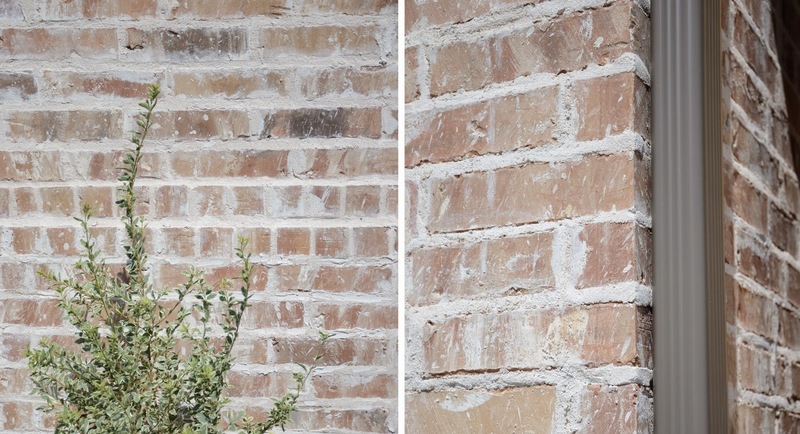 Our brick would have looked 100% different if we had chosen to do an acid wash, or even a white wash on the house. What a difference a little mortar can do! I love it! It's what I want to do with our build too. According to our contractor there are three ways to do it. One is to essentially not wipe up, another to splatter on EXTRA mortar and smear it around, and the third I didn't catch. It's such a cool look! Would you mind telling the me the name of your brick. I love it. We are building and are looking for a brick just like yours. I personally like the look, but weeping mortar is jokingly called wicking mortar. Mortar is usually recessed to reduce infiltration of water. Weeping mortar does just the opposite. If you were to have a brick house built with weeping or a similar mortar look it might be a good idea to treat the wall with siloxane.